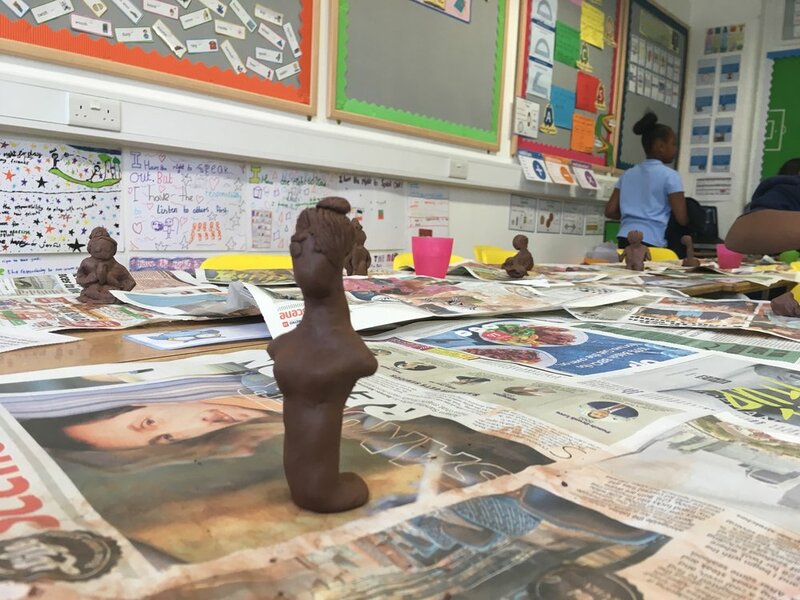 A highly inspiring workshop to celebrate the lives and achievements of black women through clay sculptures. 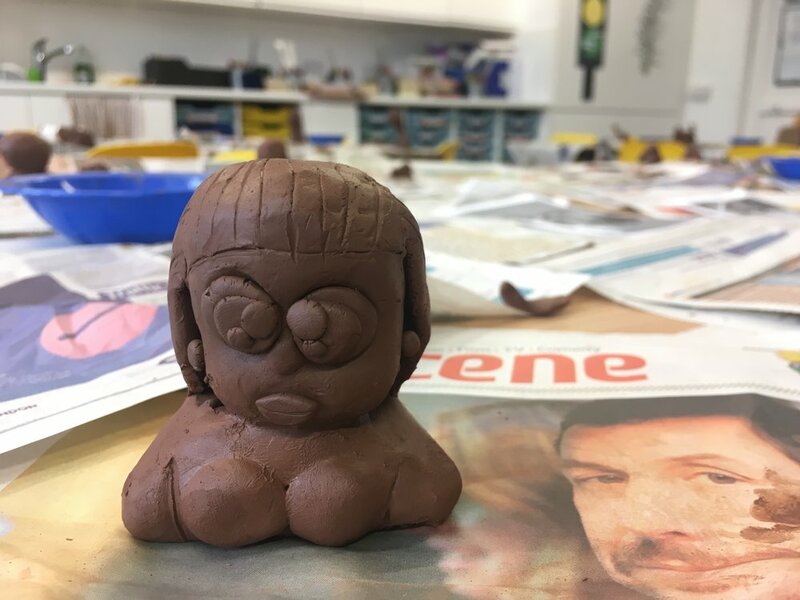 By making clay sculptures, kids learn about the importance of memorabilia, discover some amazing black women and pay tribute to them or any other women they admire. 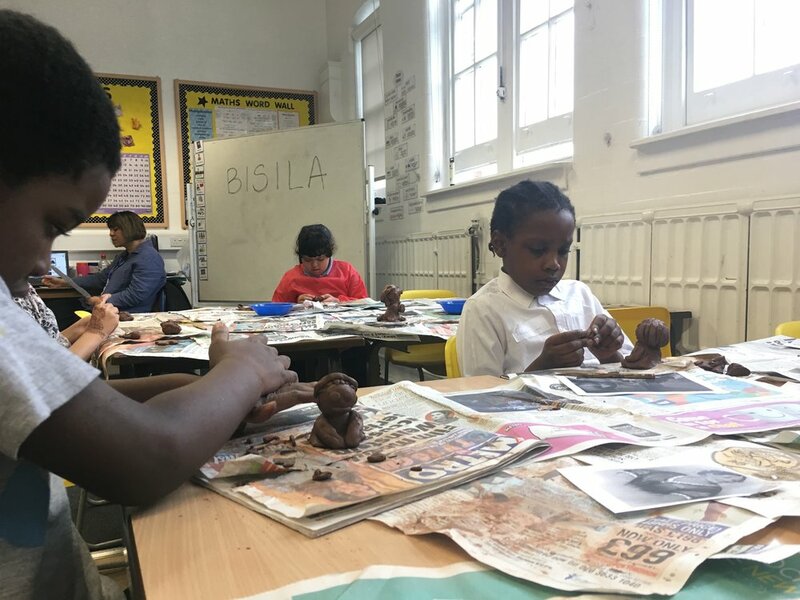 This workshop was designed by Lon-art.org, a Community Interest Company that aims to improve the accessibility of creativity, culture and learning for everybody through the arts. 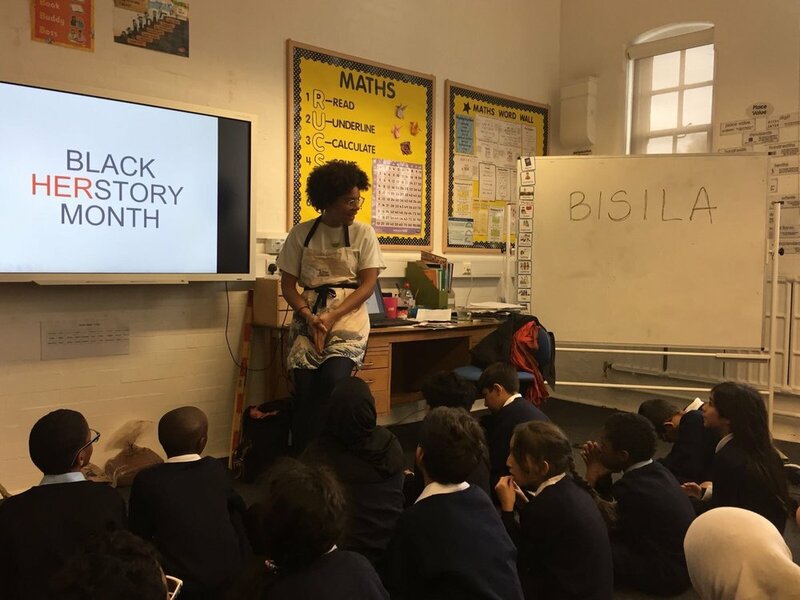 "During Black History Month, Bisila ran an excellent workshop with my 30 students in Year 5. The children were completely engaged all the way throughout the workshop. Not only did she facilitate the techniques for sculpture making with clay, but she also taught us about underrepresented black female sculptors. 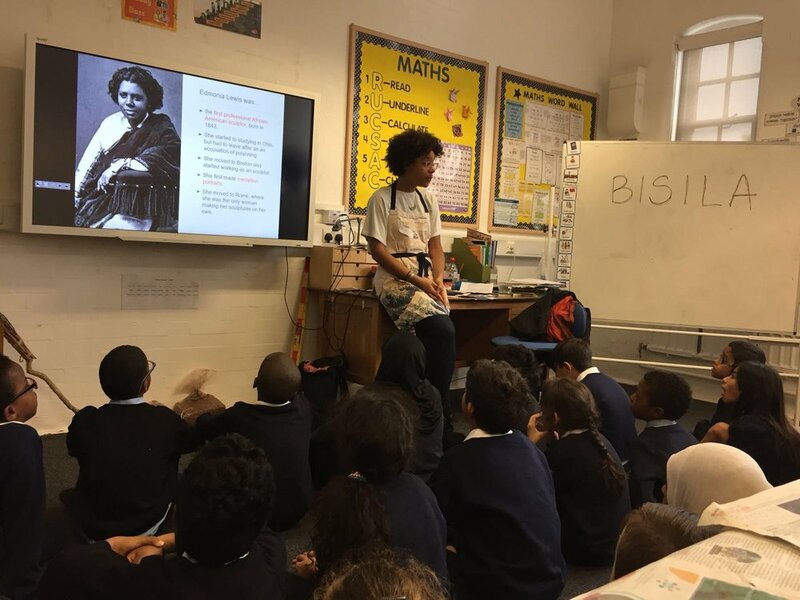 She created a very informative PowerPoint with very accesible information which enthused all the children to the point that they spent the whole week talking about Bisila’s workshop. Her calm and friendly presence was great for the children. Thanks to her approach, the children got a lot out of it! We hope to see Bisila running more workshops in our school soon!"